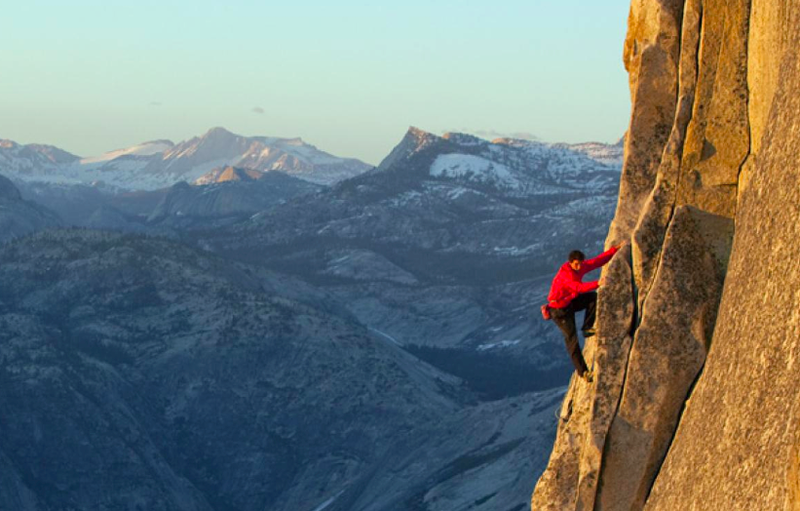 Climbing to the top of Yosemite’s Half Dome and looking out over the entire Yosemite Valley is an experience that attracts people from all over the world. At the summit, novice hikers can stand alongside the most seasoned professionals and feel the same sense of achievement. How is this possible? Half Dome is able to challenge the most skilled technical climber and the recreational hiker because it offers multiple paths — differing in challenge and support — to reach its summit. Meanwhile, in the classroom, teachers are tasked with guiding students of all ability levels to reach the summit of academic success. By helping teachers reach their students through multiple means of access to rigorous learning, we believe that ALL students can succeed. Today, diversity and variability is the norm — not the exception — in the US K-12 classroom. The shift from designing instruction for the “average” student to designing instruction that is accessible for each individual poses a unique set of challenges for today’s teachers. A renewed emphasis on teacher-led, student-driven instruction requires educators to adopt a universal approach to designing instruction that addresses the diversity of learners present in 21st-century classrooms. Even though students are at the center of this new, more personalized approach to learning, teachers remain the key to ensuring instruction is effective at developing skilled learners. And while new state standards specify the what behind a lesson, teachers must still draw upon their expertise to determine the how in a way that both challenges and supports their students. At Goalbook, we work closely with our district and school partners across the country to create scalable and sustainable change in instructional practice. We recently published a white paper, Different Paths Up the Same Mountain, which outlines a 5-Step Instructional Design Process for educators to apply in the classroom. Our 5-Step Process unifies two instructional best practices that have developed in parallel (and are sometimes perceived as opposites): standards-based instruction and Universal Design for Learning. In other words, the process brings together the what behind a lesson (learning standards) with the how (universal design strategies) so that educators can design multiple pathways of learning for a diverse classroom of students. While many standards are relatively new, standards-based instruction is not. Each state has established its own learning standards; while some states have adopted Common Core, others have re-aligned their standards to college and career readiness. In both cases, standards-based instruction helps ensure that students make systematic and measurable progress towards the statewide learning standards. By itself, standards-based instruction is insufficient as a guide for educators to develop students into “expert learners”. In order to help students develop the skills to learn, experience learning, and foster a desire to learn more, educators must account for the wide variability of individual students, so that all students can succeed at becoming experts in their own learning, no matter their level of skill. Designing instruction that meets the new, more rigorous objectives posed by state standards and can be accessed universally by the wide variability of learners in a given classroom can be intimidating: a common misconception is that designing instruction that has a universal appeal for students requires many different lesson plans for the same lesson. However, with the right tools, teachers can design instruction that is not only accessible for all students but also challenging for them, no matter their level of skill. There’s little satisfaction for students in accomplishing a task without experiencing any difficulty: it is essential that instruction presents meaningful challenges. Furthermore, when a diverse group of students is presented with a clear learning objective that is both accessible and challenging, and they work together to achieve a common goal, the results are immensely rewarding. UDL helps teachers develop targeted, evidence-based strategies that reduce barriers and improve access for all students. UDL has identified common barriers that are present in almost any learning activity and has matched them with best-practice strategies that teachers and curriculum designers can use to remove or reduce these barriers. UDL can help educators anticipate challenges and map out multiple pathways of learning, which in turn helps their diverse group of students achieve a common set of learning goals and standards. By combining standards-based instruction with UDL, teachers can follow a five-step process for designing lessons that engage and support all students in rigorous learning. Steps 1 through 3 are based on standards-based instruction, which helps educators establish a clear pathway (of learning) that is clearly aligned to a specific grade-level standard. Steps 4 and 5 leverage Universal Design for Learning to help educators identify key learning barriers present in an individual’s learning. Selecting targeted, instructional strategies opens up paths around these barriers so that students can be engaged and successful in making progress toward the standard. Select a Key Learning Standard — In the first step, the teacher determines the what behind a lesson by selecting a specific standard. Determine the Core Purpose — The teacher examines the standard and distills what we have called its “Core Purpose.” This is not a watered-down version of the standard, but the essence of what skill the standard calls for. Develop a Clear Instructional Objective — The teacher draws upon the Core Purpose to set a clear student objective (SWBAT), which is clearly communicated to students at the start of each lesson. Identify Potential Barriers — When planning a lesson, the teacher looks at the UDL principles of Action and Expression, Representation, and Engagement to identify potential learning barriers their students might encounter. Design Targeted Strategies — Based on the identified learning barriers, the teacher selects targeted strategies. In our white paper, we provide a detailed example of applying the five-step process to a sample ELA lesson on metamorphosis. The UDL principles are used to deconstruct the elements of the lesson and to incorporate specific strategies that provide extra levels of support for students who may be challenged at different parts of the lesson. We show that an entirely separate lesson doesn’t have to be created for struggling readers, for example. Rather, we have a single lesson that offers multiple access points for students. By applying this five-step process to instructional design in a class-wide context, the teacher becomes a master of delivery, engaging students and providing support for individual learners. This creates a challenging — and rewarding — authentic learning experience for all students. Just as a mountain can pose a formidable challenge to anyone who stands at its base, rigorous standards might seem intimidating to students — especially given the barriers they might find blocking their paths on the way up. Completing a difficult climb offers an intangible reward of satisfaction: a sense of accomplishment and a unique perspective shared only by others who have reached the same summit. When shown multiple pathways to the top and equipped with strategies that target the specific barriers students face, ALL students can reach the high expectations set by standards-based instruction. Every student can learn — planning instruction for a group of students with diverse learning styles doesn’t require multiple plans for the same lesson; instead, offering multiple pathways for success within the same lesson can achieve this goal. By incorporating strategies that open up multiple pathways for students, we do not just help remove barriers for a few students, but we create a more engaging and accessible lesson for all students.